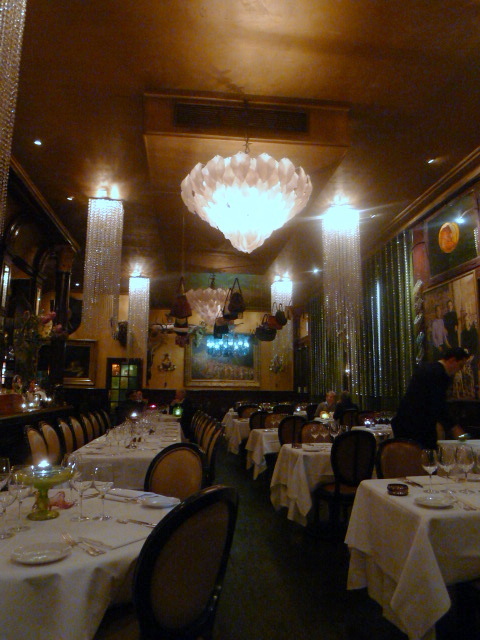 When Les Trois Garcons opened in 2000, much noise was made about its fanciful décor, and justifiably so. The three men behind the restaurant, Hassan, Michel and Stefan, all interior designers, have fashioned the once Victorian pub into something of an art house and are also owners of the delicious Loungelover bar around the corner. Les Trois Garcons is eclectic and tasteful – the handbag installations, glamorous chandeliers and its display of taxidermy make the design of the restaurant nothing less than unique. 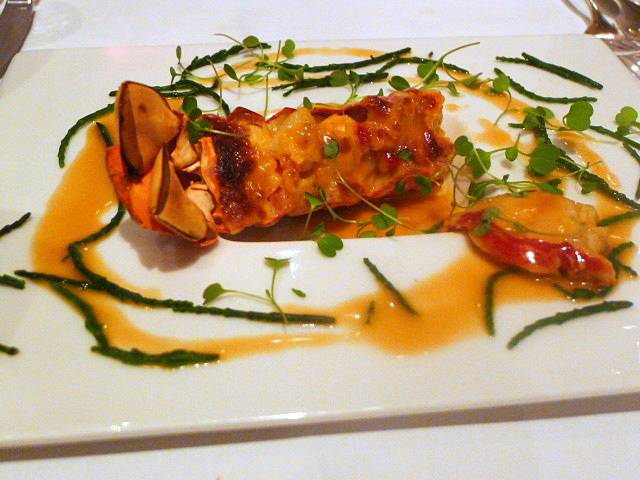 Prettily presented, the lobster in a starter of gratinated Scottish lobster (£12.50) was sweet and meaty. The accompanying samphire was a little soft rather than crunchy with bite, but the lobster butter sauce was creamy and nicely done. Foie gras (£14.50) cured in sauterne and cooked ‘au torchon’ with toasted brioche was rich, but the brioche wasn’t quite buttery enough. Seared foie gras with figs was a nice match but the foie gras lacked for a little fattiness. 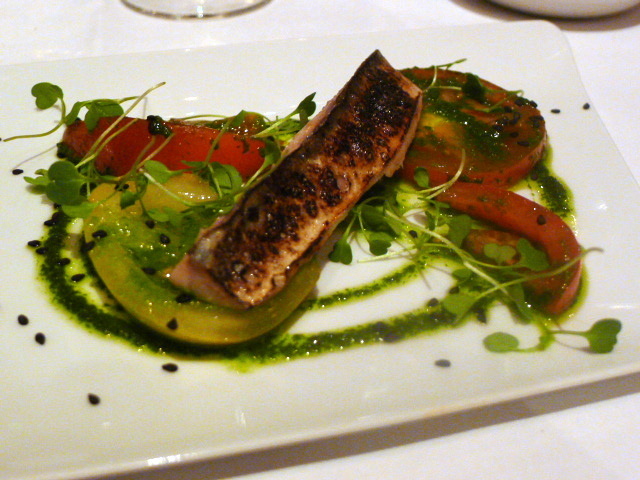 An extra starter of mackerel served with a heritage tomato and a sesame oil dressing (£8) was pleasant. The fish was nicely cooked and moist. 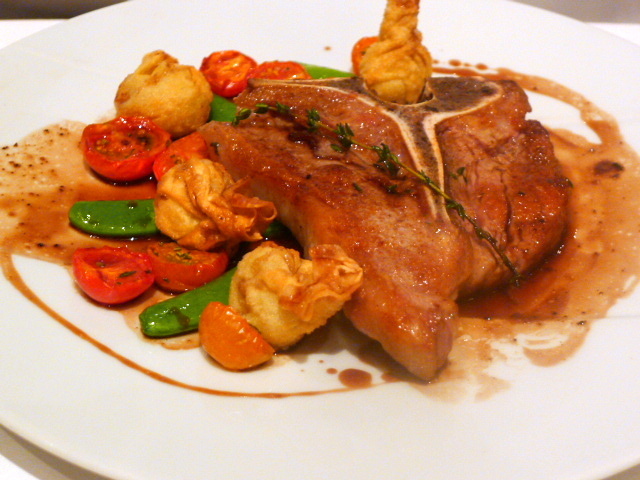 A hearty size of veal T-bone (£27.50) was pink, tender and flavoursome. However sweatbread wontons, as interesting as the idea was, lacked for the taste of sweatbread and was quite potato-y. Sugar snaps, cherry tomatoes and red wine jus completed the dish. From the fish of the day, turbot on the bone (the day’s price – £24) with parsnip purée, baby gem, radish and an orange sauce was decently presented. The fish was meaty and generously portioned. Particularly enjoyable was the delicious purée. 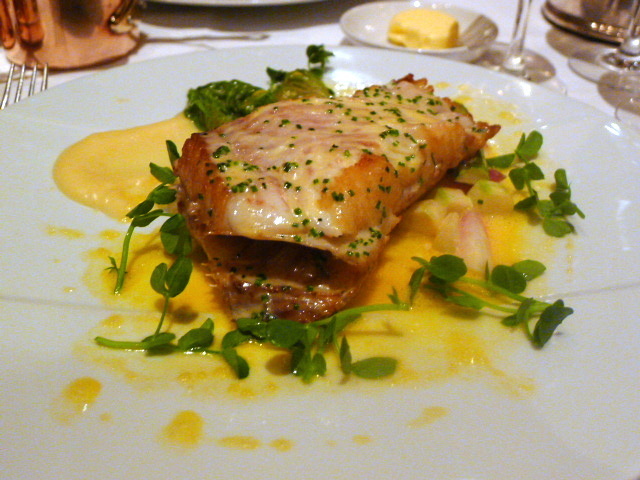 But the orange in the sauce wasn’t discernible, and greater acidity would have helped to accentuate the fish. 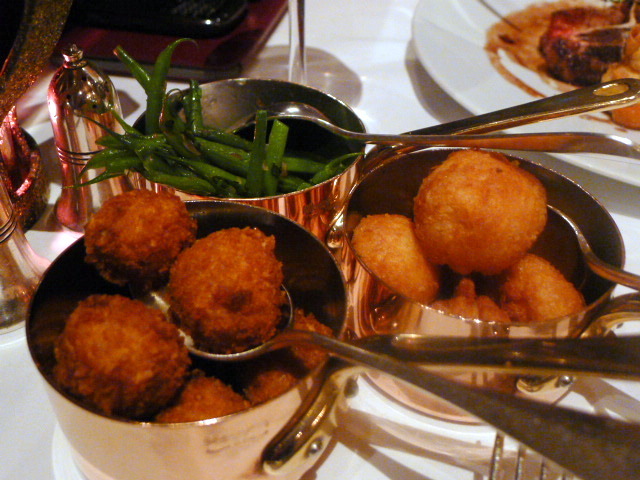 Three sides of chicken, corn and truffle croquette; green beans and pommes dauphines (£4.50) were all very tasty, although the croquettes lacked for a distinctive truffle flavour. 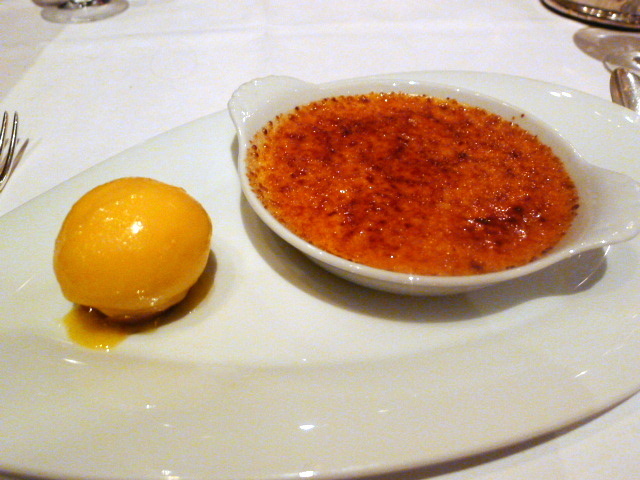 The texture in a classic vanilla crème brûlée (£8) was excellent, but a touch more vanilla would have really set it alight. A mandarine and bay leaf sorbet was zingy but it didn’t work with the brûlée. Although both were good, these would have been better as two separate desserts. The service was very charming and its worth a peek into Les Trois Garcons just to lay your eyes on the originality of the interior. The classically based French cooking was dependable and demonstrated good technique, but it didn’t reach the same flair as its fabulous surroundings. The attempts at innovation were also admirable, and with a little bit of tweaking, aspects such as the orange sauce and the sweatbread wonton, etc, could really pay off. Decent fare. Prices: Two courses are priced at £39.50, and three courses are priced at £47. The individual a la carte prices were listed above. The lunch menu is £17.50 for two courses and £22 for three.